The substation is an advanced electric pole. It offers a vast supply area with a wire reach long enough to accommodate efficient coverage of an area with very few dead spots, if handled properly. However, this comes at a cost of larger dimensions of the substations, which may make them difficult to place, and their production involves relatively advanced components. 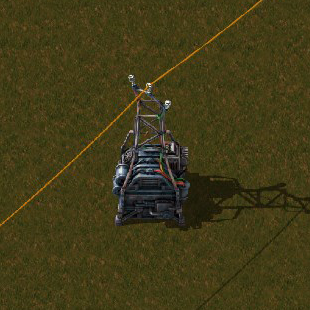 Increased the substation supply area (16×16 to 18×18) and wire reach (16 to 18). This page was last edited on 1 February 2019, at 03:58.